Huawei is an independent, privately-held company that provides information and communication technology (ICT). Everything we develop and deliver to our customers is secure, trustworthy, and this has been consistent over a track record of 30 years. We were founded in 1987, in the southern Chinese city of Shenzhen, with about 21,000 RMB in start-up capital. Since then, we’ve grown to become the world’s largest supplier of telecommunications equipment and the second-largest manufacturer of smartphones. In 2018, our revenue is expected to be US$108.5 billion. Huawei employs 180,000 people in more than 170 countries. We are a market leader in China and many countries across Europe, Asia, and Africa. More than 3 billion of the world’s population uses Huawei’s products and services to make calls, send text messages, or surf the internet. We focus on innovation, and we are one of the world’s largest investors in R&D. We have a global R&D presence, with 14 R&D Institutes and Centers, 36 joint innovation centers and 45 training centers. 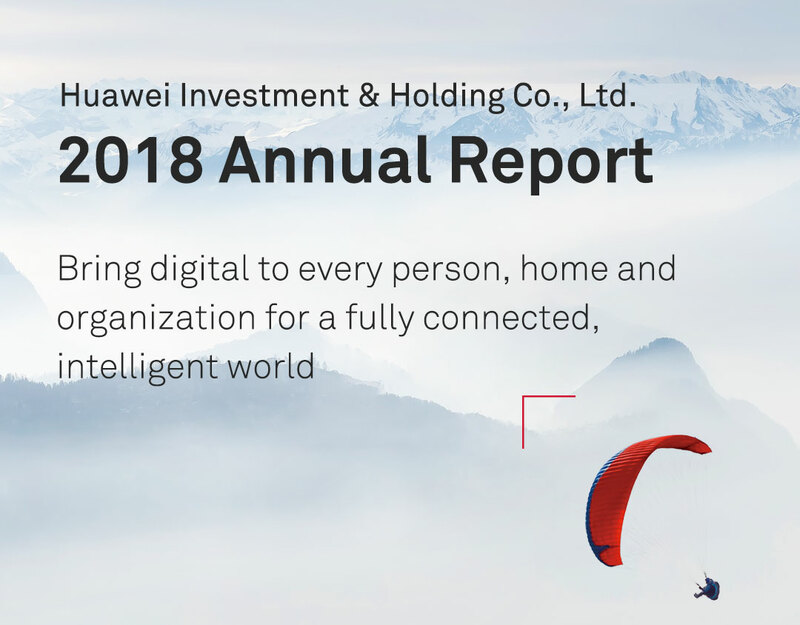 Nearly half of our employees are engaged in some form of R&D and in 2018 Huawei invested over US$15 billion in 2018. In the next five years, we plan to invest US$100 billion. Huawei is one of the world’s largest patent holders. We have been granted 87,805 patents and 11,152 core technology patents were granted by the United States. We are actively involved in more than 360 standards bodies and we have put forward more than 54,000 proposals to set industry standards. We also invest in open source communities and partner with major industry players to innovate in emerging domains, such as cloud computing, 5G, and the Internet of Things. Huawei is the front-runner in the race to 5G. We are more than a year ahead of the rest of the industry in terms of 5G technology and deployment. We are the only company that can provide end-to-end 5G systems. This includes both wireless base stations and self-developed antennas and chips. This unique technological advantage allows Huawei to deliver the best-performing, most-integrated, and energy-efficient 5G solutions in the industry. We have earned the trust of more partners for 5G deployment than any other company. We have signed over 40 commercial contracts and signed cooperation agreements with more than 50 partners. We have shipped more than 70,000 5G base stations across Europe, Asia and the Middle East. Without Huawei’s innovation and products, the roll-out of 5G would take more time, be more expensive and consumers would be left paying the bill. Governments and customers that are focused on using the best supplier for their 5G network deployment will substantially shorten the time-to-market of this new technology. For example, LG U+ in Korea has already launched 5G services after deploying 5G networks with Huawei equipment. Huawei started research in 5G as early as 2009 and we have been a key contributor to 5G standards. We believe in an open and competitive marketplace that allows operators and consumers to realize the benefits of affordable 5G. To that end, we have established industry organizations, such as the 5G Automotive Association (5GAA), 5G Slicing Association (5GSA), and 5G Alliance for Connected Industries and Automation (5G-ACIA) and are a member of the EU’s 5G Infrastructure Public-Private Partnership (5G PPP). Artificial intelligence (AI), in the simplest terms, is the creation of machines that think, adapt and demonstrate human-like intelligence. Much like electricity during the Industrial Revolution, AI will be the pivotal technology in the 21st century. The applications of AI are almost limitless and they have already touched numerous industries including healthcare, automotive, financial, and gaming. Huawei expects the global AI market to reach US$380 billion by 2025. We have been working on AI for 10 years and our strategy is to invest in research and talent, build a strong AI portfolio, foster an open global ecosystem, and drive operational efficiency at Huawei. Our AI solutions are making this emerging and evolving technology more accessible and more affordable for everyone. We recently launched our full-stack, all-scenario AI portfolio, which can be used across all types of networks, clouds and devices, and it offers broad functionality for our customers. In the telecom sector, our AI technologies will streamline network operations and management. Our AI solutions are helping businesses and governments become more efficient. For consumers, our technology makes smart devices even smarter. In our new Mate 20 Pro device, we incorporated incredible AI features into the camera, including an app that can “translate” facial expressions and emotions into corresponding sounds for the visually impaired. And our new AI Ascend series chips are aimed at data centers and smart devices. These chips can process more data more quickly than any other chip on the market, allowing people to access the information they need even faster. We are committed to working with industry partners, open source communities and developers to make AI more inclusive, effective, and reliable for everyone. As testament to this, we announced in October 2018 a $140 million education fund to train the next generation of AI talent. Huawei is the world’s second largest smartphone manufacturer. Last year, sales exceeded a record $52 billion for consumer products in 2018. We sold more than 200 million smartphones and a total of 100 million PCs, tablets, wearable devices, routers and other IoT devices. Our two flagship smartphones – the Mate series and the P series – are products of a 30-year-long experience in the ICT industry. These devices bring together some of our finest innovations, helping people to make the most of the world around them. In 2018 we launched our Huawei Mate 20 series, which incorporated a brand-new AI chip that, along with incredible lens technology from our partners at Leica, revealed the industry’s best-performing smartphone camera. In December of last year, we took this a stage further with our Mate 20 Pro which now comes with software able to “translate” facial expressions and emotions into corresponding sounds helping the visually-impaired engage with the world around them. Our innovation doesn’t stop there: our batteries deliver some of the longest lasting devices on the market, our GPU Turbo processing technology delivers super-smooth graphics that make games a joy to play on a mobile. And we were the first smartphone company to achieve the industry’s leading safety certification for super-fast battery charging. 2019 will see more technology firsts with the incorporation of 5G chips into our devices. The world’s first folding smartphones will also be announced in February 2019. As with all of our other technologies, we are committed to working co-operatively across the industry. Our HiAI ecosystem, based on our Kirin (AI) chipsets, is open to partners and developers around the world to create new, intelligent applications. Security is in Huawei’s DNA and security requirements are embedded into how we design, build and deliver all our products. Since Huawei was founded in 1987, there has not been a single major cyber security incident. We are fully aware of the importance of cyber security and understands the various concerns of governments and customers regarding security. Huawei believes that the establishment of an open and transparent security assurance framework will be conducive to the sound and sustainable development of the entire industry and technological innovation; it will also facilitate smooth and secure communications between people. With this in mind, Huawei has built – and will continue to invest in – an end-to-end global cyber security assurance system. Every year, we spend 5% of our R&D budget on cyber security R&D. On top of that, we will invest US$2 billion, over the next five years, to further enhance the security of our products and services globally. This is a crucial company strategy and demonstrates our commitment to expanding and refining a robust compliance system to ensure we abide by all applicable laws and regulations in the countries and regions where we operate, including all export control and sanction laws and regulations of the UN, US, and EU. This is both corporate policy and our most fundamental operating principle. In today’s connected society, if the global ICT industry is unable to solve or confront the threats of cyber security, the digital world will inevitably collapse. That’s why ensuring secure networks for our customers is our number one goal. And serving customers is the only reason Huawei exists. Natural disasters, wars, cyber attacks – nothing has ever stopped us from doing our absolute best to give customers a stable, reliable, secure network. Despite what you may have heard, we’re a 100% private company, owned by our employees. We don’t have a silent partner. We answer to no one. We comply with all laws and regulations. If any authority tried to force us to maliciously violate our customers’ trust, we would rather shut the company down than allow our reputation to be forever ruined. Every big tech company has a vision – a way of imagining the future. Ours is to bring digital technology to every person, home, and organization for a fully connected, intelligent world. We are ready to make sacrifices – at any cost – to realize that vision, and to defend our customers’ privacy and security. We vow never to hurt any country, organization, or individual by compromising their security or violating their trust. That is our highest agenda. And our solemn promise to you. We are committed to cyber security and privacy protection. We are committed to building trust and high quality into every ICT infrastructure product and solution we develop. Huawei will spend US$2 billion over the next five years to increase the security standards of our equipment and improve our software engineering capabilities and practices. Resilience: To ensure the system can continue to be in a known state while under attack, even if in a degraded state, and rapidly recover after an attack. Privacy: Protecting privacy is a regulatory requirement and one of Huawei’s key values. Users should be able to appropriately control how their data is used, and when and if they want to receive information based on their own individual needs. Data use policies should be transparent, and we need to ensure the right set of capabilities and mechanisms to fully protect private data. Reliability & Availability: To ensure long-term, fault-free operations for the entire lifecycle of our products. They must be able to rapidly recover and self-manage, and provide predictable and consistent service. Unified standards and certifications are an important part of Huawei's cyber security assurance system. Huawei advocates and complies with globally accepted cyber security standards and certifications. Since 2004, Huawei's security management system has passed BS7799-2/ISO 27001 certification, and Huawei's products have passed more than 200 security certifications, including CC, FIPS, PCI DSS, CSA STAR, and O-TTPS. Huawei remains open and transparent, and actively collaborates with governments, customers, and third-party testing institutions that independently test and evaluate the security of Huawei's products and solutions. We have been working with the UK government since 2010. We established an independent Cyber Security Evaluation Centre in the UK, which evaluates the security of the products that Huawei sells in the UK telecom market. We have also established a similar system in Canada. Huawei has built two security testing environments in Brussels and the city of Dongguan, China. These environments provide the necessary testing tools, equipment, resources, and technical support for customers or their designated third-party institutions. This helps them to independently verify the security of Huawei's products. Many customers have completed verification with the support of Huawei. We create value for our customers. We provide organizations and industries with open, flexible, and secure ICT infrastructure platforms that help them go digital. We offer enterprise customers stable, reliable, and secure cloud services that evolve with their needs. Our smartphones and other smart devices improve people's digital experience in work, life, and entertainment. We enable sustainable development. As a responsible corporate citizen, Huawei bridges the digital divide in the world’s remotest areas and disaster-stricken communities. Our equipment has restored communications networks and ensured the reliable operation of essential telecoms equipment in Ebola-affected areas of West Africa, nuclear contaminated zones following the Japanese tsunami, and the massive earthquake that struck Sichuan in China. Everything we do prioritizes low-carbon and environmental protection, providing our customers with top-of-the-line products and solutions that save energy and reduce Huawei’s environmental impact. Our global Seeds for the Future program works with young talent across 108 countries and regions to transfer knowledge, and encourage broader involvement in the digital community. We ensure secure and stable network operations. We have developed close relationships with carrier partners over 30 years, building 1,500+ networks in more than 170 countries and regions. Together, we have accelerated the arrival of the Information Age by connecting more than three billion people around the world. We have helped the Internet become truly accessible and interconnected. We promote industry development. We are driving the industry forward as an active member of more than 360 standards organizations, industry alliances, and open source communities, to develop mainstream standards and lay the foundation for the industry’s shared success. Together, we are driving innovation in cloud computing, software-defined networking (SDN), network functions virtualization (NFV), and 5G. 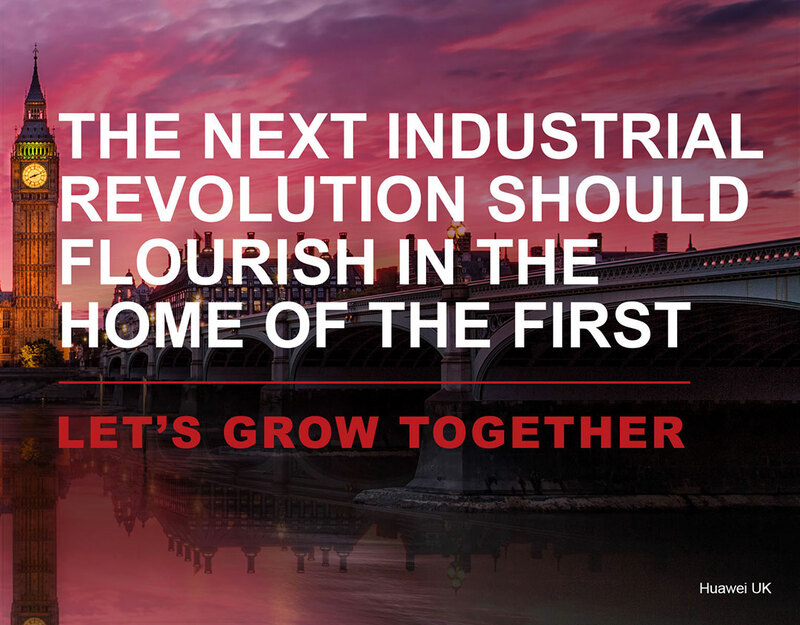 We drive economic growth. Huawei generates tax revenues, provides local employment opportunities, and stimulates the development of the ICT value chain in every country where we operate. Furthermore, we deliver innovative ICT solutions that drive the digital transformation of all industries, fostering economic growth and improving quality of life. Why has Huawei filed a lawsuit against the U.S. Government? Huawei filed a complaint in a U.S. federal court to overturn Section 889 of the 2019 National Defense Authorization Act (NDAA) enacted by Congress, which prevents U.S. government agencies from buying products from Huawei and from working with third parties that use our products or services. We hope the court will rule a permanent injunction against Section 889 because it violates the Bill of Attainder Clause and the Due Process Clause; legislation at the heart of the U.S. Constitution that upholds the right of anyone, including any company operating on U.S. soil, to a fair trial and to due process of law. Above all, Section 889 violates the fundamental Separation-of-Powers principles enshrined in the U.S. Constitution. It allows Congress to make, adjudicate and execute the law at the same time, overreaching into other branches of government. Without any evidence to contradict Huawei’s excellent security record and program, and without allowing Huawei the opportunity to defend itself, Congress has acted unconstitutionally as judge, jury and executioner. Therefore, Huawei has been compelled to take this legal action as a last resort. What is Huawei’s response to the Department of Justice charges on 28th Jan 2019? We are disappointed to learn of the charges brought against the company. After Ms. Meng’s arrest, the company sought an opportunity to discuss the Eastern District of New York investigation with the Justice Department, but the request was rejected without explanation. We deny that we or our subsidiaries or affiliates have committed any of the asserted violations of U.S. law set forth in each of the indictments. We are not aware of any wrongdoing by Ms. Meng, and we believe the U.S. courts will ultimately reach the same conclusion. Has Vodafone decided to end its relationship with Huawei? Vodafone has decided to pause deployment of Huawei equipment in its core networks in Europe. This does not mean that Vodafone’s relationship with Huawei has come to an end. We would like to make clear the core is only a small proportion of Vodafone’s 5G network roll-out and that Huawei is still supporting Vodafone’s 5G roll-out. Vodafone has been a long-term and strategic partner to Huawei since 2007 and we are grateful for the company’s continued support. What is Huawei’s response to the events in Poland? As reported on January 11, 2019, the authorities in Poland arrested and charged two people with alleged spying activities and one of these people was a Huawei employee. Huawei has decided to terminate his employment. His alleged actions have no relation to the company. In accordance with the terms and conditions of Huawei’s labor contract, we have made this decision because the incident in question has brought Huawei into disrepute. Huawei is fully committed to expanding and refining a robust compliance system. We abide by all applicable laws and regulations in the countries and regions where we operate, including all export control and sanction laws and regulations of the UN, US, and EU. This is both corporate policy and our most fundamental operating principle. What is Huawei’s response to the decision by HSBC and Standard Chartered to withhold new banking services or funding? Huawei’s business is strong, operations are normal, and we continue to enjoy the broad support of our financial partners across the globe. Huawei values each and every one of our partners. We make every effort to ensure that our collaborative relationships, including those with our financial partners, create lasting and mutually beneficial value. What is Huawei doing to answer concerns about security? It is a challenge to disprove unsubstantiated claims. In 30 years of business, there has never been a major security breach but if anyone can show evidence against us, we will address it directly. To date, no evidence has been produced. We have built testing facilities in the UK, Canada, and Germany, and we are planning another in Belgium early in 2019. These facilities allow independent experts in signals intelligence and cyber security to assess our equipment and software. No evidence has been found to show a so-called “backdoor” in the whole time these facilities have been open. Late last year, we also announced a US$2 billion fund (December 19, 2018) to improve our software and to allow for increased scrutiny of our equipment. This money will be used to build more labs and hire more people and, combined with external testing, our equipment and software will soon become the most tested of any technology company in the world. We want to leave no room for doubt that our equipment does not pose a cyber-security threat and that we are willing to be completely transparent. Is Huawei banned in France? Huawei has not been banned in France. Bruno Le Maire, the French Finance Minister, commented recently in support of Huawei and said we are important to France and that the country welcomes investments from Chinese telecommunications enterprises. On December 13, the CEO of Orange, Stephane Richard, said he too would be disappointed if Huawei was banned from doing business in France. What is Huawei’s response to Japan’s proposed 5G equipment ban? The procurement guidance issued by the Japanese government does not provide specific details regarding a particular country or company. Huawei's business in Japan is running as normal. Has UK’s BT decided to remove Huawei’s equipment from its core 4G Network? On December 5, 2018, there was a story in the media that claimed BT would “strip Huawei equipment out of its core 4G network within two years to bring its mobile phone business in line with an internal policy to keep the Chinese company’s equipment at the periphery of telecoms infrastructure.” This is an inaccurate characterization of Huawei’s ongoing relationship with BT. Huawei has worked with BT for almost 15 years. Since the beginning of the partnership, BT has operated on a principle of different vendors for different network layers. This agreement remains in place today. Since it acquired EE in 2016, the BT Group has been bringing EE’s legacy network architecture in line with this long-standing agreement. This is a normal and expected activity which we understand and fully support. Huawei began working with EE in 2012. As part of this collaboration, we provided EE with a series of innovative and competitive 3G and 4G network solutions, including core network equipment. Why has New Zealand raised concerns about Huawei’s 5G equipment? Despite previously approving Huawei’s work on 4G and other technologies and after close engagement and dialogue between Huawei and the New Zealand Government in the past, in November 2018, the Director General of the Government Communications Security Bureau (GCSB) informed Spark that he considers that its proposal to use Huawei 5G equipment for 5G RAN could “raise significant national security risks." However, the process is ongoing and there is an opportunity for Spark and Huawei to work together on a plan to mitigate any potential risk. 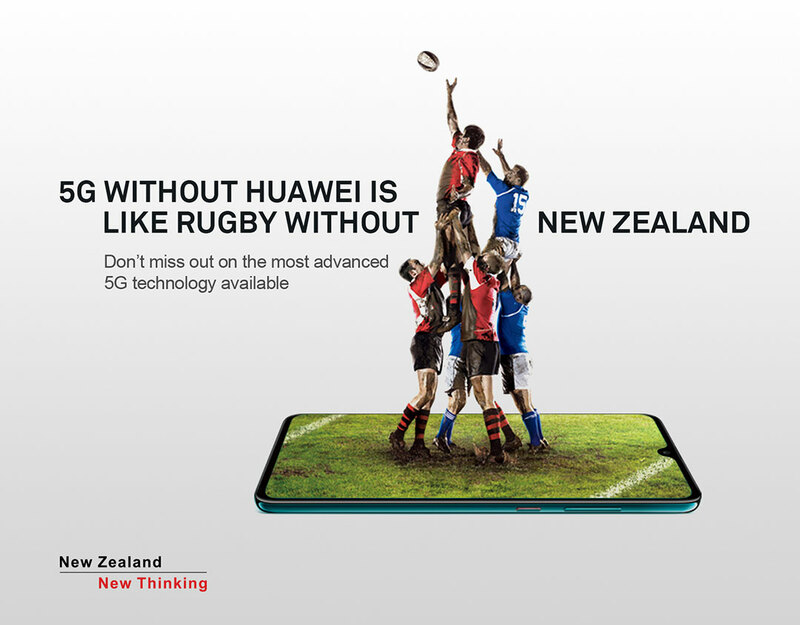 This is not a blanket 5G ban on Huawei in New Zealand and should not be interpreted as such. No evidence of wrongdoing by Huawei has been presented, despite Huawei submitting itself to more scrutiny than any other player in the market. Huawei will actively address any concerns and work together to find a way forward. As a leading global supplier of telecoms equipment, we remain committed to developing trusted and secure solutions for our customers. Huawei's 5G equipment is already being deployed by major carriers around the world. Moving forward, we will continue to provide our customers with innovative, trusted, and secure 5G solutions. What is Huawei’s response to the cyber security allegations in Germany? After German officials said they might consider excluding Chinese firms from building the country’s 5G infrastructure, Germany’s Federal government has now concluded that it does not want to explicitly exclude any supplier for 5G equipment from the German market. Considering the potential impact such a decision could have meant for the 5G roll out in Germany, we welcome this conclusion. We reject any suggestion that we might pose a threat to national security. Cyber security has always been our top priority and we have a proven track record of providing secure products and solutions for our customers in Germany, and around the world. Huawei’s exemplary record demonstrates that we are a trusted partner for many telecom carriers and customers in Germany, and we are working with our industry partners to deliver safe and reliable networks across the country. Canada has not restricted the use of Huawei’s technologies. This includes 5G, as well as existing mobile and connectivity network systems. We will continue to work with our Canadian customers as usual. As to the case of our CFO, it is currently in legal proceedings. We trust the legal systems of Canada and the United States are open and fair, and will reach a just conclusion. Have Germany, Japan, France, New Zealand banned Huawei’s 5G network roll-outs? This is an inaccurate characterization of Huawei’s ongoing operations in these markets. Huawei’s business in Germany is performing well, and we are taking an active role in 5G development in France. In Japan, we are participating in a 5G tender and tests by government bodies. In New Zealand, although the government holds a variety of opinions on the 5G development proposals we submitted, their regulatory framework has not yet been finalized. Huawei’s 5G development and its commercial application is world-leading. We are the only supplier that can support a full 5G end-to-end network. Despite the difficulties we face, we have achieved significant results. To date, we have signed more than 30 agreements on 5G commercial applications and more than 50 collaboration agreements with our global partners. We have shipped more than 40,000 base stations, setting a new record for the industry. In the first half of 2019, Huawei will announce a 5G smartphone with a 5G chip, with product availability in the second half of the year. Our equipment has allowed companies like LG U+ in Korea to launch a 5G network that is bringing new services to the market at a price that is helping the company to win new customers. What is Huawei’s response to Australia’s ban on Huawei 5G network equipment? The Australian government's decision to block Huawei from the country’s 5G roll-out is politically motivated, not the result of a fact-based, transparent, or equitable decision-making process. It is not aligned with the long-term interests of the Australian people, and it denies Australian businesses and consumers the right to choose from the best communications technology available. A non-competitive market will raise the cost of network construction and have lasting effects on Australia's transition to a digital economy. In the end, everyday businesses and consumers are the ones who will suffer the most from the government's actions. In fact, evidence of this is already being seen with the cancellation of the country’s fourth mobile network. TPG Telecom puts the blame firmly on the government’s decision to ban Huawei as the sole reason citing increased costs of using other vendors, as well as added complexity. For any country, fair and robust market competition is essential to strong economic growth. The Australian government's actions undermine the principles of competition and non-discrimination in trade. The government has not identified any specific concerns about Huawei's governance, security, or suitability to safely and securely conduct business in Australia, so we’ve been given nothing to respond to. The United States alleges that Huawei’s equipment is a threat to national security. What is Huawei’s response? The allegations from the United States have not been backed up by any evidence so far. Huawei’s devices and networks are not a threat to the United States, or any country. In the 30 years since Huawei’s founding, we have served over three billion people across 170 countries and maintained a spotless cyber-security track record. There has never been a single major cyber security incident. We have embedded strict security requirements into all of our systems used globally. We fully abide by all local laws and regulations in every nation we operate in. China’s new National Intelligence Law, passed last year, compels Huawei and other Chinese companies to co-operate with China’s intelligence community. How can we trust you? To be absolutely clear, despite numerous inaccurate reports in the media, Chinese law does not require Huawei to install “backdoors” in networks or equipment. This point was clarified by the Ministry of Foreign Affairs of the People's Republic of China. We have also independently verified this with leading Chinese law firm, Zhong Lun, and their view was reviewed and confirmed by Clifford Chance, one of the world’s leading law firms. Their opinion confirms that relevant provisions of the Counterespionage Law, the Anti-Terrorism Law, the Cyber Security Law, the National Intelligence Law, and the State Security Law do not empower PRC government authorities to plant backdoors, eavesdropping devices or spyware in telecommunications equipment. Huawei has never received such a request and we would categorically refuse to comply if we did. Huawei is an independent company, and customer-centricity lies at the heart of all we do. We would never compromise or harm any country, organization, or individual, especially when it comes to cyber security and user privacy protection. What is Huawei doing to protect my personal data? What are Huawei’s views on privacy protection? Huawei is committed to protecting the privacy of anyone who uses our products and services. Privacy protection is just as important to us as cyber security. All of Huawei's business units have cyber security and user privacy protection offices. This ensures that privacy protection is part of our day-to-day operations. Protecting customer privacy, and freedom of communication is an essential part of Huawei’s Employee Business Conduct Guidelines (BCGs). Each and every Huawei employee around the world is required to learn, sign, and comply with these guidelines. Huawei is an independent, privately-held company. We are not owned or controlled by, nor affiliated with the government, or any other 3rd party corporation. In fact, Huawei is owned by our employees through an Employee Stock Ownership Program (ESOP) that has been in place since our early days. As of 2018, there were 96,768 shareholding employees. No-one can own even a single share without working at Huawei. Our founder, Ren Zhengfei, owns a 1.14% stake in the company. Employee-ownership has been instrumental to our rapid growth. Over the years, it has offered an incentive to our loyal employees and helped us attract talented people. Unlike many other publicly-owned companies, Huawei’s decisions are not based on the need for quarterly returns and annual dividends. What is Huawei's relationship with the Chinese government? Huawei is a private company, owned solely by our employees. No third parties, including the Chinese government, hold any shares in the company. 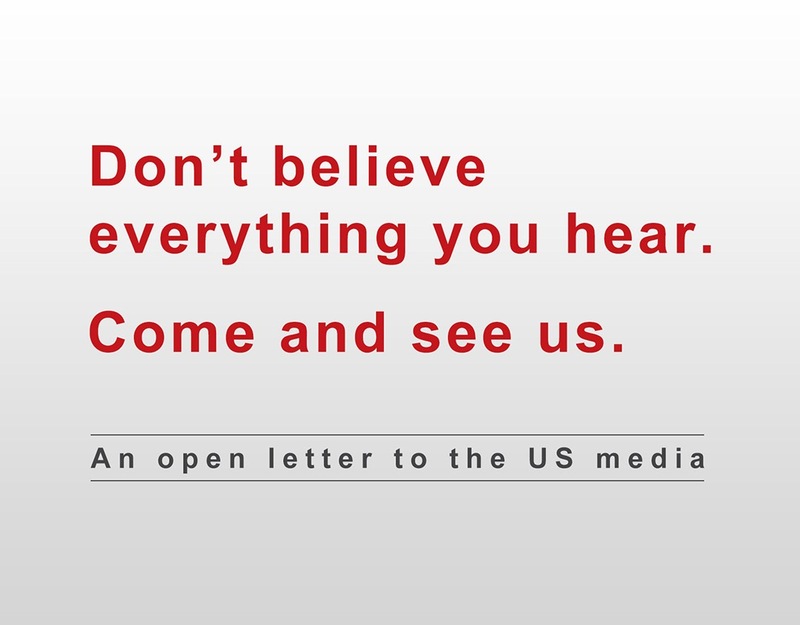 We are a global company; we are transparent with the governments of the countries we operate in; and we have open communications with the governments, including the Chinese government. Like many companies, we have commercial agreements in place with governments in the countries where we do business, including China. We sell civil communication products to the Chinese government, and that is the extent of the relationship. Does Huawei have ties to the Communist Party of China (CPC)? Chinese law states that Chinese and foreign companies operating in China must set up CPC committees. In accordance with this law, Huawei had set up a CPC Committee. Our CPC Committee is not involved in any operational or business decisions. Our founder Ren Zhengfei is a member of the CPC but this has no bearing on the business. To explain why, it is useful to put this into its historical context. When Ren Zhengfei was a young man, you needed to be a CPC member to have any position of responsibility, even as the head of a cooking team in the military. Does Huawei or Ren Zhengfei have ties to the PLA? Our founder Ren Zhengfei is a CEO who, like many other business leaders in the US and elsewhere, served in the military at an early stage of his life. Ren joined the People’s Liberation Army Engineering Corps in 1974 and retired nine years later in 1983. Why did Ren Zhengfei pursue a career in technology? As a technician in the military, Ren was assigned work to help build a factory for a French company called Technip Speichim. The factory was based in Liaoyang, producing synthetic fibers for clothing. It gave Ren experience of technology with a level of advanced automation that did not exist elsewhere in China. The factory ran out of an instrument used to test the manufacturing equipment. Using mathematical inference, Ren designed the instrument and it earned him industry recognition and an invitation to become a member of the National Science Conference. However, Huawei’s technology has no relation whatsoever with Mr Ren’s previous experience in the corps.